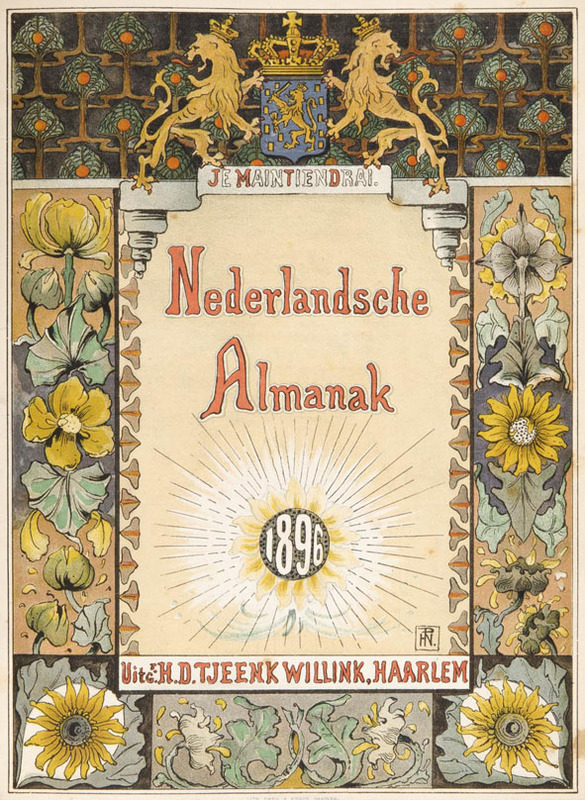 The ‘Nederlandsche Almanak’ (Almanac of the Netherlands) was published from 1804 till 1918 by H.D. 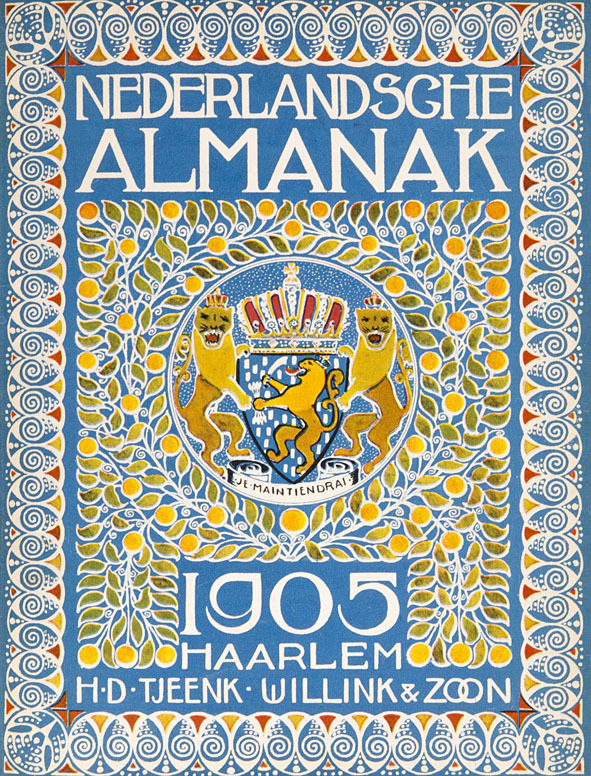 Tjeenk Willink in Haarlem. 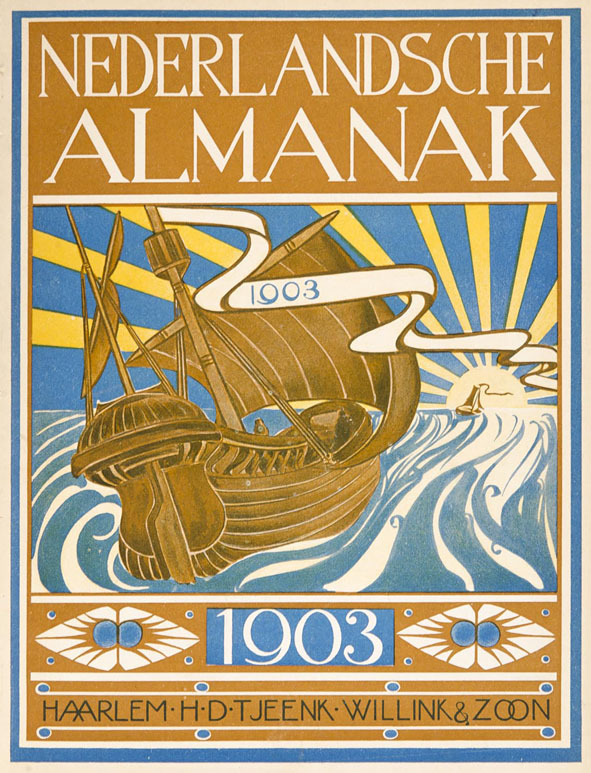 In 1894 the publisher gave his ‘little state almanac’ a new look. 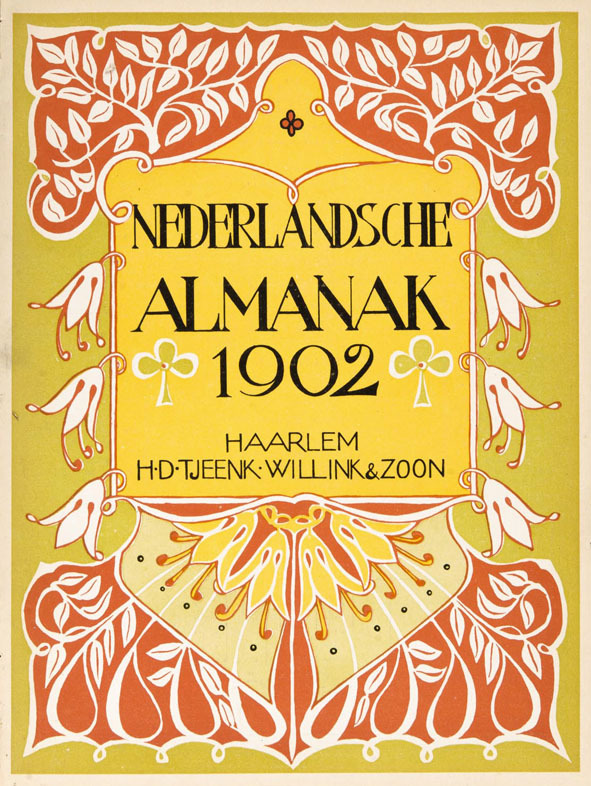 From that year on the cover designs were made by well known Art Nouveau artists such as Theo Nieuwenhuis (almanac of 1894), Jaap Veldheer (almanacs of 1902 and 1903) and Theo Neuhuys (1904 to 1907). 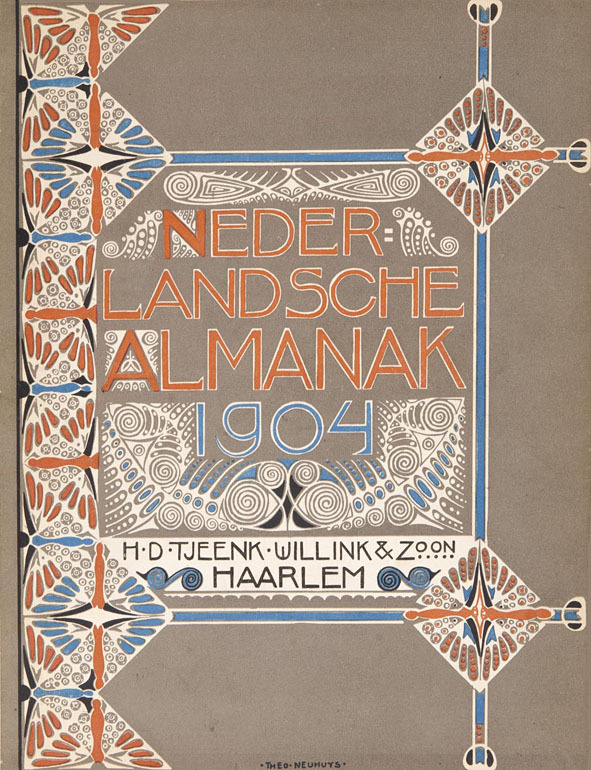 The covers from 1896 to 1901 are probably made by the lesser known artist Hendrik Nicolaas Postma from Haarlem. 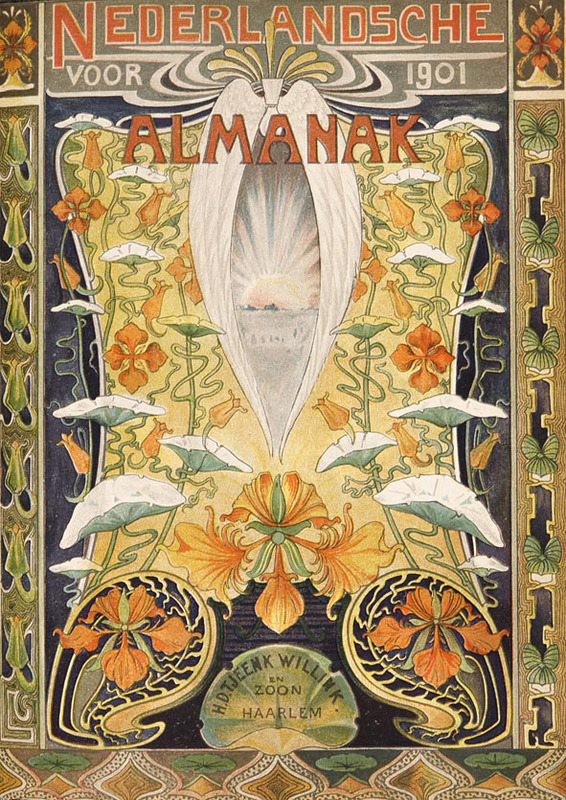 These covers are designed in a picturesque Art Nouveau style. 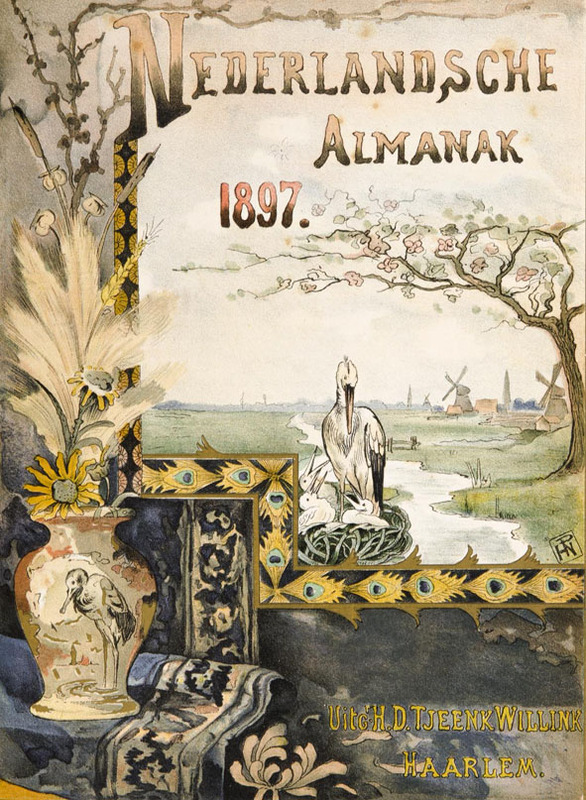 The almanac was a royalist magazine. 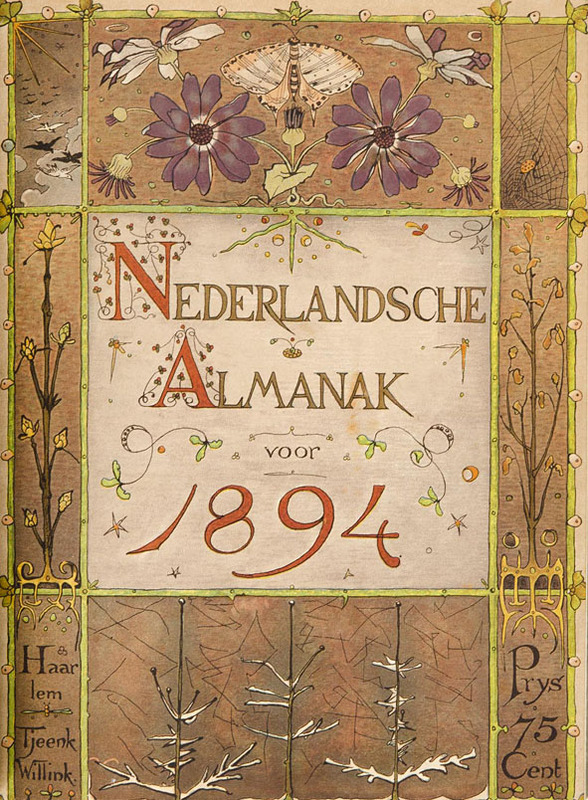 It contained a lot of information about the Dutch royal family and the government of the Netherlands. 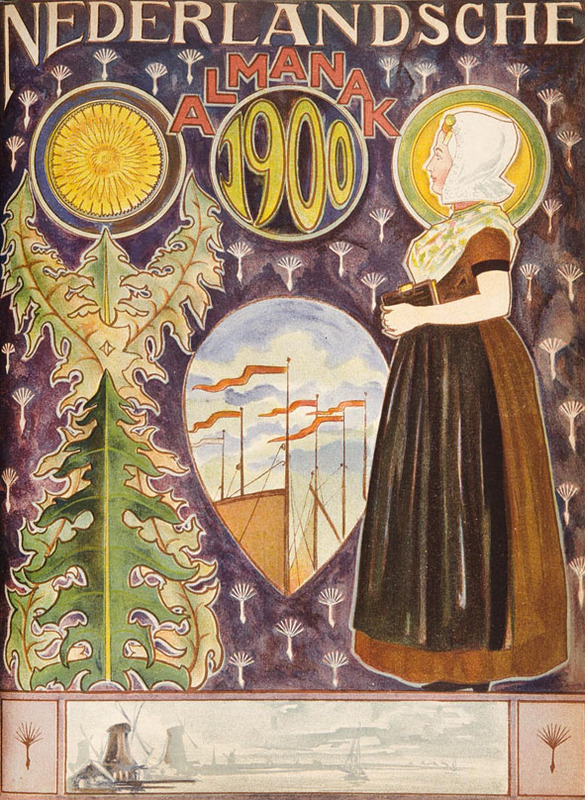 The 1998 cover is dedicated to the coronation of Queen Wilhelmina. 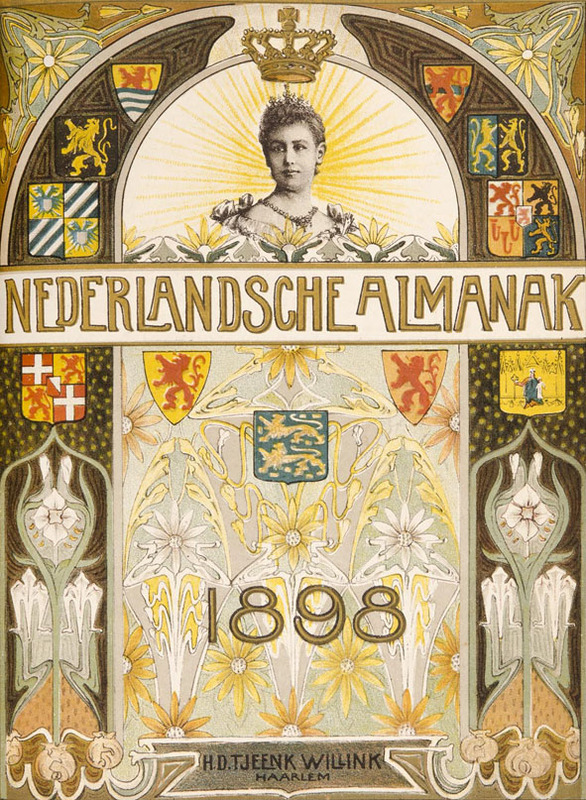 The cover for the Dutch Almanac of 1898 is dedicated to the coronation of Queen Wilhelmina.